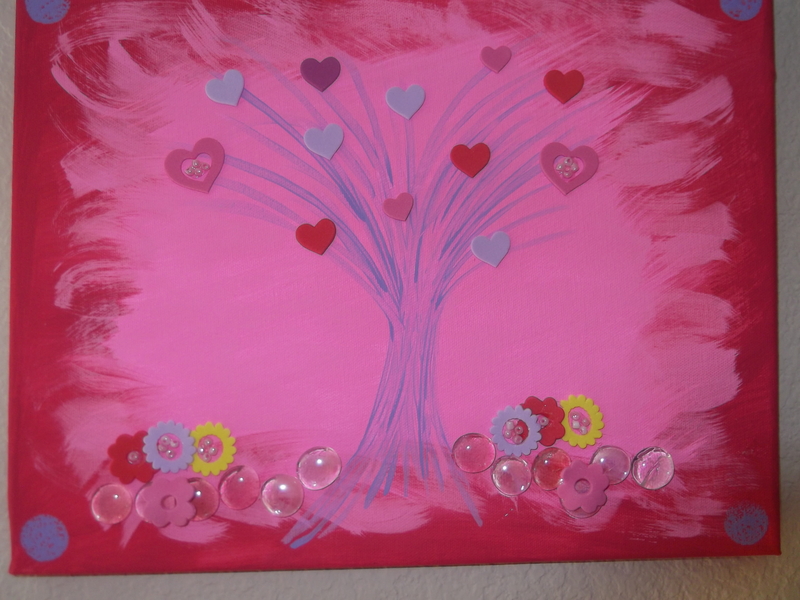 My finished “Love Tree”. I put the sticker hearts for the leaves. I will someday make me an actual Valentine tree. A small one. I don’t want to go all crazy like Christmas or anything. I think my hubby would say NO. 🙂 What is a tree without some rocks and flowers beneath it. I have to say it was brutal doing this one. The hot glue gun attacked my left thumb. I have a nice little blister but at least the pain has subsided. 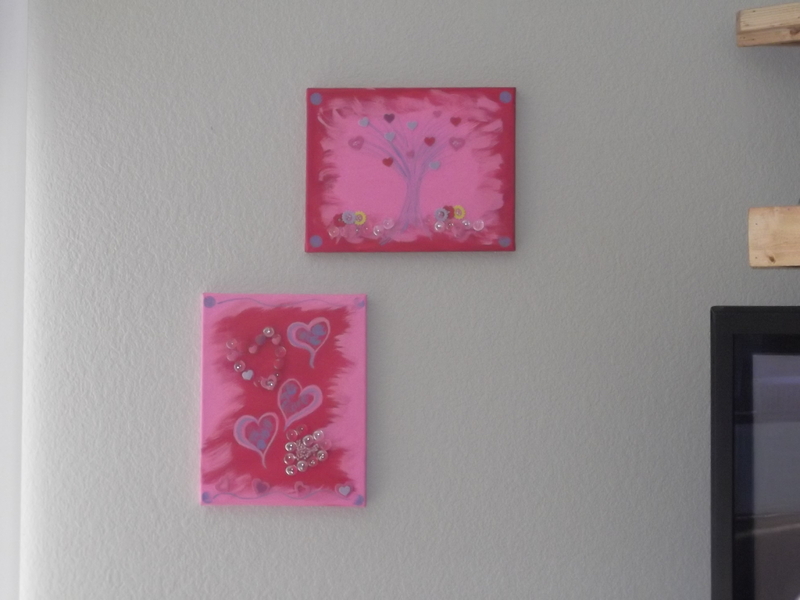 I like this one because it has the three hearts for my sons, the top rock heart is my hubby, my heart is over his with the sticker hearts, and then my daughters heart is the bottom rock heart with the pretty pink beads in the middle. 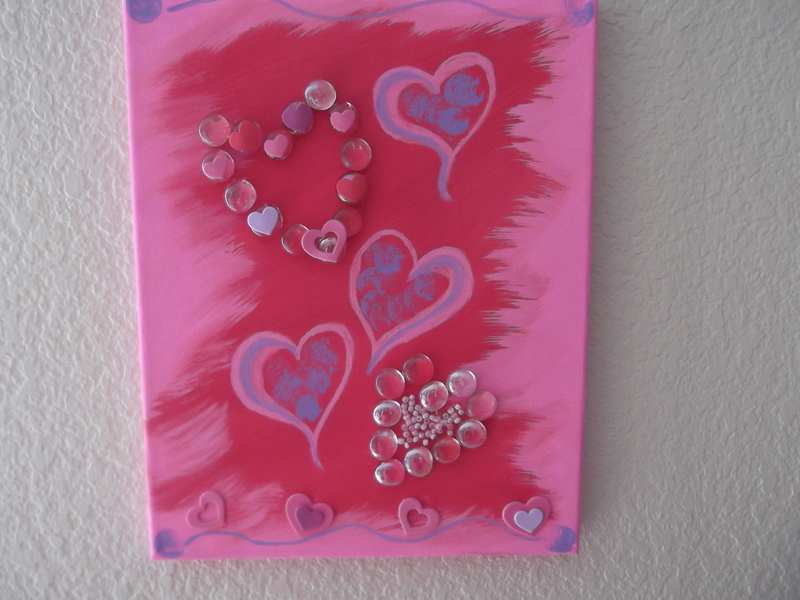 This entry was posted in Art Projects and tagged family, hearts, love, pink, trees. Bookmark the permalink. It’s a love tree and a sort of mini geneological record of the family unit. You are so creative. Thank you 🙂 Those glue guns are soooo dangerous…..I now have a scare. sigh.